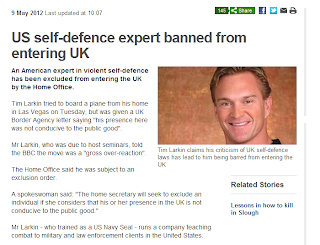 Time Larkin, who runs Target Focus Training has been officially banned from entering the UK on grounds of his presence being "not conducive of the public good". This highlights the creeping restrictions on free speech being enacted in the UK and the government's general disdain for universally accepted natural rights. 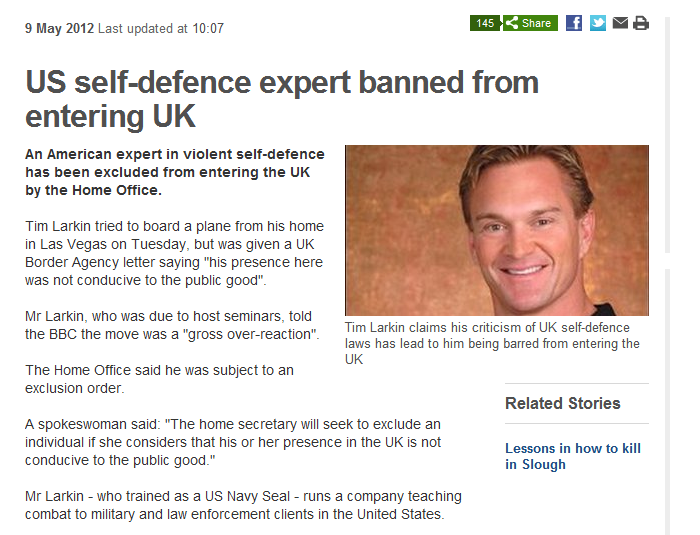 They were up in arms because in his form of self defence, attackers actually get hurt. As it should be. I suppose modern Britains want violent thugs to be offered counselling, not knocked out.